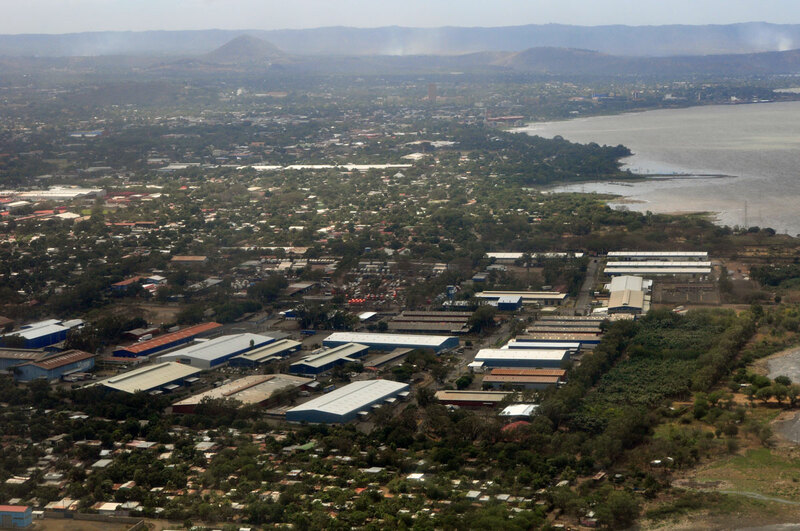 View of Managua from our flight. MANAGUA – Outside the Managua airport we were met by a representative from the Best Western hotel who asked about our flight. The Best Western Las Mercedes is located across the street from the airport, but still a van is required to take us there given the highway is not an easy crossing. We asked if the hotel representative had ever been to the Atlantic Coast? He said no, that he had never flown in a plane. This is despite the fact that he works to the sound of arrivals and take-offs all day long. Like many who have never flown before, he said he was afraid to fly. It’s an hour-long flight from Puerto Cabezas to Managua, from the Atlantic to the Pacific. The roads across the country are not good, and a bus will take up the better part of a day to undertake the same journey. Some travel through Honduras to reach the Atlantic Coast, but the route is not considered safe. The day began with a previously unscheduled meeting with the Mayor of Puerto Cabezas. Reynaldo Francis Watson has only been in the job for a month, but he already looks like he carries the weight of the world on his shoulders. 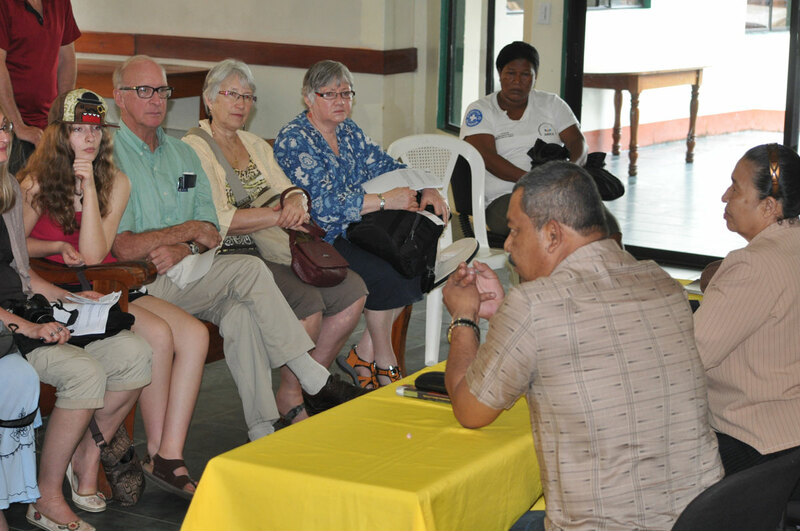 The Mayor of Puerto Cabezas addresses the delegation from Horizons of Friendship. Puerto Cabezas extends far beyond the immediate urban area. It takes in more than 80 local communities and covers a region with 320,000 citizens. About 40 per cent of the municipality live in the city. More are coming every day. The Mayor tells us that he has a budget of $1.6 million, about 250 municipal staff, and the city owns one garbage truck. Turns out we had seen it for the first time that morning – more of a dump truck than the garbage trucks we are accustomed to seeing on the streets of our Canadian municipalities. Garbage is everywhere, often providing food for the wild dogs and cats that wander the city. Along the roadside we encounter smoke as residents burn their garbage in the streets. Passing a creek we noticed that it is full of plastic bags waiting for a torrential rainfall to wash it all out to sea. The degradation of the environment is a big concern for the Mayor. Puerto Cabezas has a beautiful beach, but you can’t swim there because it is contaminated by sewage. There is no sewage system in the city. The beach is also considered to be unsafe. We are told it is regularly used as a landing point for drug smugglers. Not surprisingly, between the burning of plastic and a questionable water system Puerto Cabezas has a problem with cancer. Unfortunately there is no cancer treatment in the city. Citizens have to fly to Managua for that, and most cannot afford the $150 U.S. to do so. The Mayor says he has all the human resources he needs – labour is cheap here amid an unemployment rate of 60 per cent. What he lacks is the resources to do anything. For example, Puerto Cabezas has the teachers it needs, but schools lack basics like blackboards or books. The teachers do their best, he says. At present the city is undergoing an assessment as part of a new 10-year plan. The last 10-year plan made no accommodation for the natural disasters that befell the city, including hurricane Felix (2007) which considerably damaged the city’s infrastructure. As a result, the plan failed to reach its targets. At present there is no plan for emergencies, which is a big deal in a country that regularly deals in natural disasters. They would like to change that. The migration from the countryside is only adding to the Mayor’s woes. Between 80-100 people per day show up at the municipal building looking for social assistance. He said the European Union has offered to build tourism infrastructure, but first they want the city to clean up the place. That’s easier said than done when you’re essentially broke and have little tax base to draw from. 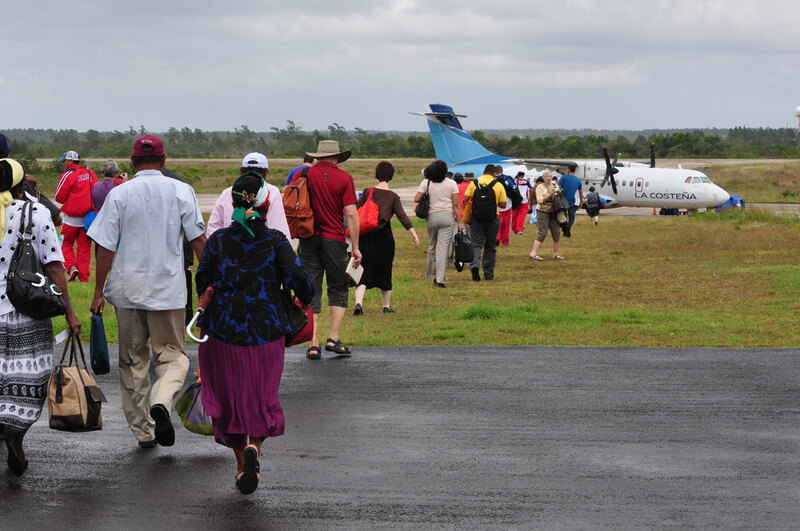 Boarding the plane in Puerto Cabezas to return to Managua. In Nicaragua governments rely on agriculture, loans, donations and renegotiations of their debt. In Puerto Cabezas’ case, they are reeling from the recent withdrawal of support from the Japanese government even though every other car on the street is a Toyota. It seems everyone is abandoning the country. The Mayor made his pitch for help, hoping that some twining agreements with far away municipalities will help. He is also looking to NGOs like Horizons to use their own contacts in the development world. 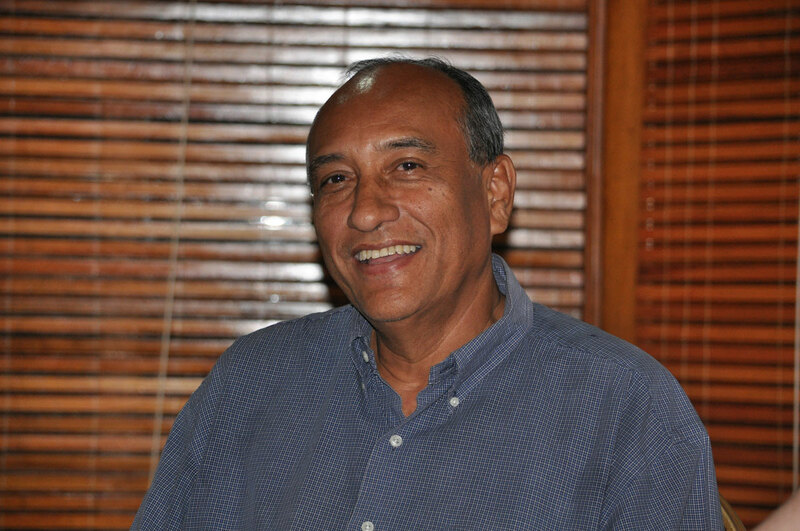 Back in Managua we had a visit at the hotel from Cirilo Otero, an academic and former labour activist. Otero described the labour movement in Nicaragua as strong up until the 1980s when it became co-opted by the Sandinistas. Even under the Somoza regime the construction unions had significant power which was feared by the government. In the late 1970s labour was at the forefront of many social struggles. Otero says now many of the labour leaders are in fact working directly for the government and tolerate little opposition. Given union votes are by show of hands, workers are often intimidated from diverting from the official plan. Many of the 115,000 workers in the free trade zones are organized, he says, but the negotiated benefits often disappear when it comes time to apply the contract. Strikes are banned in Nicaragua, and he says the labour movement has agreed not to hold any demonstrations for at least the next three years. This is despite an average minimum wage in the country of $70 per month.